In 8-quarts saucepot, heat oil over high heat. green onions are tender, about 1 minute. Add clams, water, sherry, and soy sauce; heat to boiling. transferring clams to large platter as they open. Pour broth over clams on platter and sprinkle with cilantro. 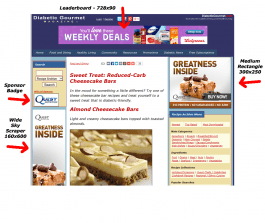 ABOUT THIS EMAIL: The “Daily Diabetic Recipe” is an opt-in mailing list published by Diabetic Gourmet Magazine. This is an automated email system, so please do not reply to this email. Daily Diabetic Recipe (c) copyright 2012. Diabetic Gourmet (R).